If you've listened to smooth jazz radio lately, chances are you've heard the distinctive sounds of keyboardist Lao Tizer and his group, whose latest album, Diversify, melds contemporary jazz with funk, world, and classical music. "I'm definitely not the typical act in that realm," says Tizer. "When I was younger, my compositions were more like classical or new age, but it started to develop more and more into contemporary jazz. The new record represents a lot of different things. There's definitely a little classical influence, and there's some pretty funky stuff in there as well. Hence the name Diversify!" These influences reflect Tizer's musical upbringing. "I started out with classical piano," he recalls, "but my parents exposed me to a lot of world music, all kinds of different ethnic stuff. Plus, they were baby boomers, so I also grew up hearing '50s and '60s rock and roll--Buddy Holly and stuff like that." This mixer allows me to control my in-ear monitor mix independently from the front-of-house mix. But in high school, the jazz bug bit. "It was 1993, so I was maybe 15," he recalls. "I was listening to a record of Miles Davis and Quincy Jones live at Montreaux, and I suddenly just got it. A lot of times classical guys don't get jazz, especially when they're younger, because harmonically it's very different." 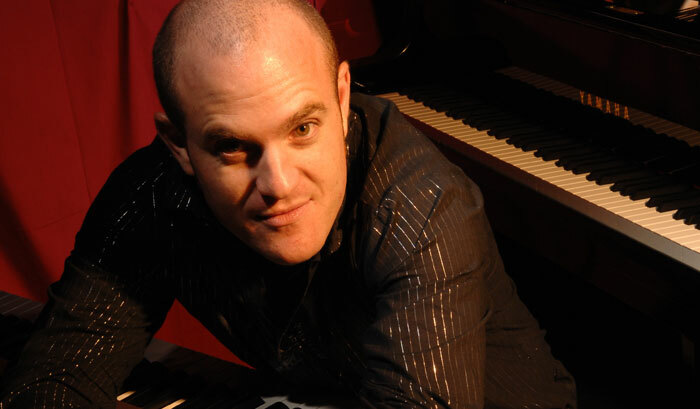 Tizer released three self-produced solo piano and keyboard albums while still in his teens, relocating from his native Boulder, Colorado to Los Angeles at 18. The next year, following the advice of contemporary jazz guitarist/producer Chieli Minucci of Special EFX, Tizer formed his first group. "Working with a group lets me touch on other styles and stretch out a little more," he reflects. "I began performing solo when I was 14, so it's the most natural thing in the world for me. But the amount of energy that can be created by two, three, four, five people if they get connected in the right space--it's a different level." Solo or with his band, Lao's music combines structured compositions with freeform experimentation. "A lot of my ideas come out of solo shows, or duo shows with a guitar player," he says. "Actually, a lot of my ideas have come out of quasimistakes! If you leave yourself room to venture a little outside what you're playing, you never know what you might stumble across." Tizer plays several Yamaha keyboards, including an S80 and a Motif 8. "The Motif 8 is my main board," he says. "It's got the best action, the closest to a piano. I'm not really a tech/programming kind of guy, but I think it's got the best piano samples out there. It's got other great sounds too, but being the bandleader and playing the melodies, I use predominately the piano sounds." At home, he has a 7'6" Yamaha C7 Concert Collection Grand Piano. "It's my pride and joy--it's what I play every day," he says. "I recorded with a C7 on Diversify as well. Acoustic piano is one of the toughest instruments to record, but the tonal quality of the piano on this record is awesome, and I think it sounds pretty unique as well." 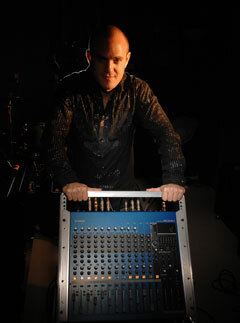 For live shows, Tizer also relies on his Yamaha MG16/6FX mixer, which features built-in EQ and other effects. "It works great for both front-of-house and monitoring," he says. "It's great for the solo shows, because I use in-ear monitors, and it allows me to mix separately for my in-ears. This mixer really allows me to finetune mixes for certain frequencies, and I can control my in-ear monitor mix independently from the front-of-house mix. If you're running sound for a solo or duo show, it's a great thing. And it's small and portable, which is very helpful as well." Lao still admires straight-ahead jazz players, though his own musical interests have taken a different course. "As far as the musicianship, they're at the top of the mountain," he says. "The stream of consciousness, and the ability to improvise on such a high level. But what moves me is the combination of composition and improvisation. I love great melody and great changes: Pat Metheny Group, Bruce Hornsby, Sting, that kind of stuff. I think those guys represent the marriage between both worlds." In fact, Tizer suggests, such fusions may well represent the future of contemporary jazz. "I'm no expert, so some professor might scold me, but to me the idea behind jazz is creativity, improvisation, and inclusion," he says. "Jazz has become more and more of a melting pot, which to me is the spirit of it. We're young guys, and we can reach a younger audience, I hope. I think it's in the interest of the industry to promote the younger artists--not just myself, but anyone who can be a torch bearer to the younger crowd."